Leading Manufacturer of adjustable backdrop stands, pop up round backdrop, luxury roll up stand and pop up curve backdrop from Delhi. 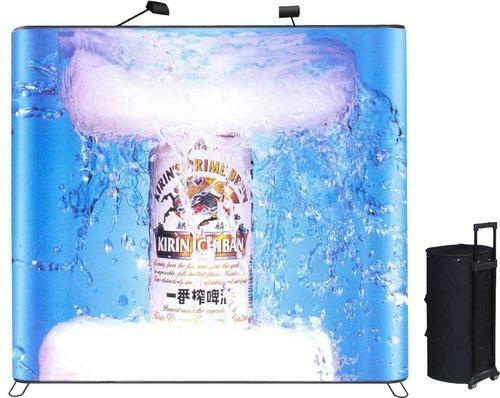 Outshine your competitors with our extensive range of quality Adjustable Backdrop Stands. Make sure your graphics are eye-catching with these premium quality displays. With sizes and configurations to meet all your needs, from floor space to budget. Supplied with full color, high quality, laminated graphic print installed ready for use. 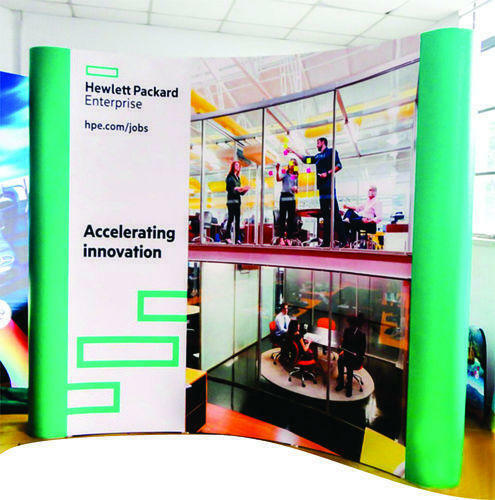 Size 8 X 8 Ft.
Surpass your adversaries with our wide degree of value Backdrop Stands. Ensure your arrangement are engaging with these premium quality presentations. With sizes and setups to address all your issues, from floor space to spending course of action. 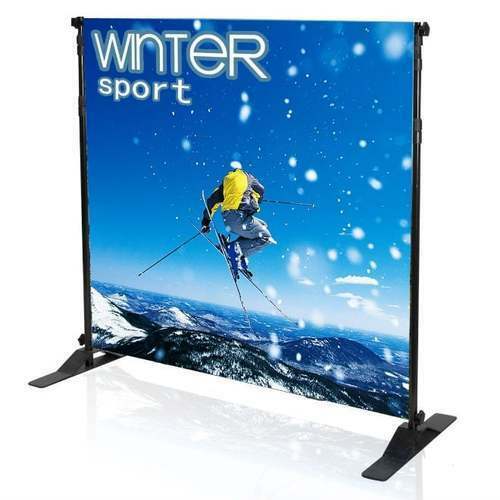 Supplied with full shading, high bore, secured sensible print displayed masterminded use. 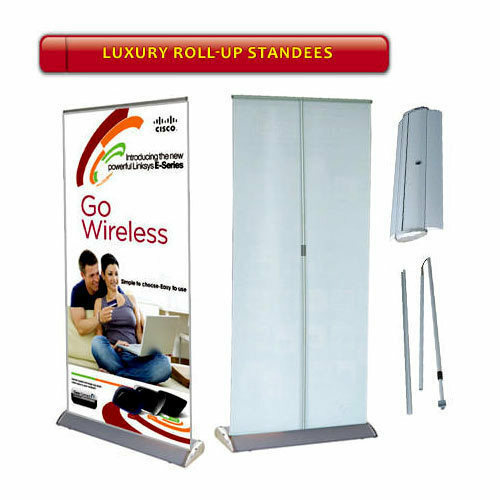 Surpass your rivals with our broad scope of value Luxury Roll Up Stand. Ensure your design are attractive with these premium quality presentations. With sizes and setups to address all your issues, from floor space to the spending plan. Supplied with full shading, high caliber, covered realistic print introduced prepared for use. Surpass your opponents with our wide extent of quality Exhibition Stand Pop-Ups. Guarantee your configuration are appealing with these premium quality presentations. With sizes and setups to address all your issues, from floor space to spending arrangement. Supplied with full shading, high bore, secured reasonable print presented arranged for use.